Kathy from SMARTliving365.com wrote a post about the importance of choosing the memories from our past she states that: "every person’s life is usually filled with a collection of both good and bad experiences. What we individually choose to focus on, highlight, and repeatedly tell others, and ourselves, can either lead to a happier life, or reinforce the past negatively." I come from a fairly dysfunctional family background - my father was a selfish individual who expected the family to revolve around his rules. He was an alcoholic and a chain smoker and spent the last few years of his life in permanent care with dementia caused by the damage all those toxins did to his brain. My mother enabled a lot of his behaviour because she always took the path of least resistance. My brothers and I have no real sense of having a dad in our lives as we grew up. We don't even have family photos of us all together, to help us create memories of him with us. Both my brothers have failed marriages, are compulsive spenders, have very few friends, and have many issues relating to a distant and dismissive father figure. I thought I escaped relatively unscathed - until I started looking at the coping mechanisms I have in place to deal with life. I handle criticism very poorly, I am a people pleaser wherever possible, I think I am a classic "oldest child" in that I am a bit (quite a bit) of a control freak and I like my world to be very ordered and pleasant. I'm not a big fan of change or surprises and I always tend to think the worst is going to happen and worry about it (often needlessly). When I look at these character flaws in myself, I have often chosen to resent my parents (particularly my dad) for the lack of quality parenting they provided through my formative years. My mum has stepped up big time in the last few years and we have become much closer. I think this is partly due to me accepting her for the person she is and not expecting too much from her - when she does something caring or considerate I love it and feel really special, and that is such an added bonus. 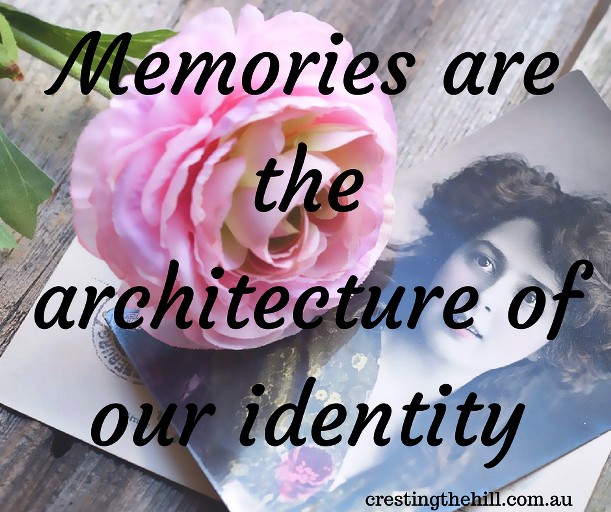 Kathy's point was that our memories are coloured by our experiences and are subject to being interpreted differently by the people who were present at the time. I'm sure my parents thought they did a great job of raising us - none of us are in jail and we are good citizens making our contribution to society. The difference in perspective comes from experiencing things as a child and a teenager that I would not want my children to have to go through. But.....and this is a big 'but'......there were good times in amongst the bad. So I can choose to remember how hard done by I was in my youth, or I can focus on remembering the fun times. There weren't very many fun family events, but there were laughs along the way and milestones. I think it's important to not place today's values on yesterday's parenting. We are much more involved with our children than our parents were in the 1960's, we have the benefit of better education, more resources and an understanding of the impact we have on the children we have in our care. I think my parents just got on with their lives and we came along for the ride. My dad passed away last year with very little fanfare. There was a good turn out for his funeral, but my brothers and I struggled to find any grief in his passing. I still need to forgive him for his selfishness and to try to pull together the good memories from days gone by and push the not so nice stuff into the background. No amount of blaming or wishing things were different will change the past, so why not choose happy things to remember and move on. There's a lot I have learnt from my childhood and there are a lot of things I have done differently from my parents - that can be a positive outcome to continue on with. Now I just need to dredge up a few extra happy memories to highlight and remind myself of, then I can start telling them to my brothers! That is so true. I love my mom as I did my father (he died when I was 15), but they were far from perfect by far just as my children would probably say about me. We carry a degree of dysfunction with us and by remembering the good times more maybe we can filter that degree a little bit down the line. I think you're right Rena - if we remember the positive stuff and filter the negatives into better parenting practices then it's win/win isn't it? I hope my kids have some positives to take with them from our parenting! I love that you recognized that you cannot shine today's light and values on previous generations. It is so important for our own well-being to reject bad memories that keep popping up and not to feed them. I find this very hard. Like you say, I want to concentrate on the good ones. It's so true isn't it Kathleen - our parents were a part of their era and we can't expect them to see things the way we do now. I suppose it's about reducing our expectations and being grateful for the good times. I forgave my father for many mistakes he made because he was a wonderful grandfather. When he died at 67 it broke my heart because I hoped we would have many more years of good moments ahead. Cancer is evil. Forgiveness is the only way to get past our parents bad choices and lackluster parenting. I hope my children will forgive me for anything they think I did wrong! I would love to say that my father was a wonderful grandfather Sharon, but that wasn't the case unfortunately. He never thought about anyone but himself - tough to say and tough to live with, but water under the bridge and his loss really. I truly hope my kids have happier memories of their parenting. Very well put (as usual) Diane - wallowing in wishful thinking doesn't change the past and there is always something positive to look back on if you choose to hunt for it. Oh this is interesting Leanne. My parents both tried their best but lately I've been listening to recordings we made from when we were young and I hear my father interviewing my brother and I (when I was 8 or so and my brother 12) and realise why we are like we are. Everything is very specific and if we don't get it right dad will interrupt to answer the question himself. I think we all grew up assuming it was normal to live the way we did. Then we look back and see the gaps and the missing pieces and that's where the sadness comes from. Fathers didn't do a particularly great job with our generation did they Deb? 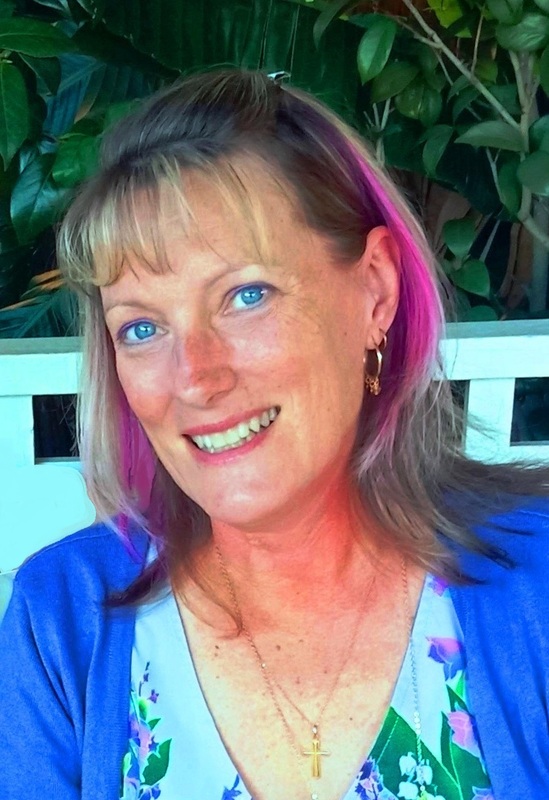 There's a lot of healing to be had in being heard Denyse. I'm so glad you had the chance to talk to your dad about the stuff from your childhood. I never had that resolution and I don't think he had a moment's remorse for the selfishness of his existence - which is a loss for all of us. 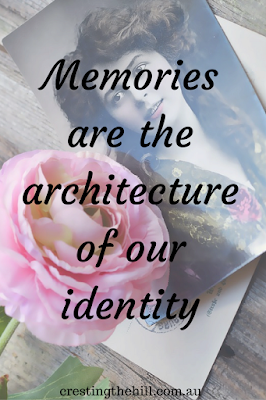 Love that saying - Memories are the architecture of our identity. It's so true too. Not all memories are good and not all of them are bad but it does make us who we are. Thank you for sharing this post at the Wednesday AIM Link Party. I shared it on my social media sites. Memories are such a vital part in the creation of our worldview Dee - I wish we could forget the bad stuff more (but it tends to leave the deepest marks) I guess we just need to keep reinforcing the good memories. I think that's my biggest take away from my childhood Min, you don't have to repeat the mistakes from your past. I tried so hard to be a better parent and to marry someone who was different to my dad (he's the polar opposite!) and I hope my kids look back fondly on our efforts. You are so right about technology - it's really tough for people parenting teens today isn't it? It was strange when my dad died Kathy - just a lack of feeling on our part. No sadness, very little regret, just the closing of a book really. I envy those who had a loving relationship with their dads because it would have made a huge difference to my self esteem - and I think my brothers would have benefited tremendously from an engaged father figure. You struck a chord here Leanne because I too had a pretty dysfunctional childhood - which at the time we thought was pretty normal. Our father was an alcoholic, domineering and there was domestic violence. I try to remember the few good times too, although there are so many parts of me and my sister that he damaged. I know exactly what you mean Jo. My dad was an alcoholic too (although nobody actually put a name to it for a very long time) Our lives revolved around what he wanted and we weren't really of any interest to him. It's sad when I think how much we missed from not having a warm and caring father figure. I certainly identify with what you had to say about being a classic "oldest child"! I'm the eldest of 4; my mum developed a severe mental illness (though undiagnosed at the time) and my folks divorced when I was 10. 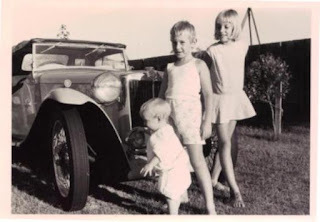 Life was pretty crap after that but I feel fortunate that I do have SOME good memories of my mum and our family life before it all went pear shaped - my brother was only 2 when they split and doesn't have any :-( , and the two sisters in between don't remember much about the good times at all. Mum has since passed away so I find myself the "family historian" in some ways! It's interesting what shapes us isn't it Janet? I really hope our kids feel the difference growing up in a stable, loving, involved family makes. We didn't treat them as precious jewels like some parents do today, but we invested in our kids and loved them and took their opinions on board - what a blessing that would have been in my childhood! What courage it took for you to write this post. We all have memories we want to push far back into our minds. We are better people to enjoy the good ones. I really enjoy reading your blog. Thanks so much Pamela - I know we all have childhoods that were less than perfect at times, but choosing what to hold onto from then and what to leave behind makes such a difference to how we go forward as adults doesn't it? Great post. This could help so many people sort through their feelings about their childhood. Thanks so much for sharing! I'm sure there are others with far more hurt from their younger days Leanne, but I think we can all choose to leave some of it behind and choose to lead happier lives now. Holding on just continues the sadness. Hi Carol - I know exactly what you mean about thinking you've forgiven and then finding it coming back to visit at odd times. I think forgiveness is a process and acknowledging that we have a right to feel the way we do, then choosing to do better, is a big part in healing and moving on. Leanne, this must have been such a challenging but necessary post to write about your dad and the impact his personality and choices made on the lives of your brothers and yourself. Thanks for sharing your journey, your strength and your reflections. I didn't 'enjoy' reading this but rather came away from your words inspired and wiser. Hope this makes sense. Thanks so much for your thoughtful words - it probably wasn't the most uplifting of posts, but what I was trying to say is that we can all choose to do better than what was done to us. I think acknowledging our past hurts and putting them behind us is all part of maturing and getting wiser - then it wasn't all for nothing. It is good that you have easily made it clear that what we reflect today is not the err of our past generations mistake. In fact if we can find the good and bad of our behavior and how to convert them rightly for our benefit, we could win in every situation and be positive. You've got it Menaka - it's up to us isn't it? We can choose to stay stuck in the past, or we can let a lot of that go and move forward and make new memories. Hopefully we can do a better job with our children than our parents did with us.